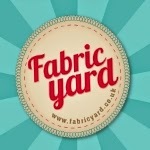 Fabric Yard are having a Huge Clearance Sale! There’s 25% off a wide range of fabrics! a huge range of fabrics in our MEGA CLEARANCE SALE running in January. Alexander Henry, Michael Miller, Riley Blake, Makower and many more. And if you are a newsletter customer, you get even more discounts! So go get yourself a bargain before they all go! Previous Previous post: Saturday Sewing! Next Next post: My First Tunic!